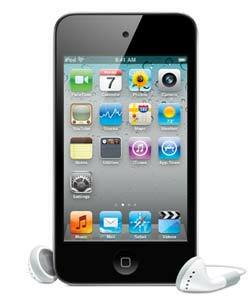 To celebrate the launch of the Sendible iPhone App, we’ll be giving away Three 4th Gen 8GB iPod Touches. You can enter as many times as you like. The more you post the message from your Sendible account, the better your chances of winning! The winners will be chosen at random. Remember to enter as many times as you like to increase your chances. The winners will be chosen on 3 February 2011. The winner will be notified via email and the winners’ names will appear on the Sendible blog. Only entrants who fully comply with the terms are eligible to receive a prize. Must be legal resident of the U.K and the US. for the duration of the competition and up until award of the prize. The winners assumes all liability for any damages caused or claimed to be caused by participation or by the prize and releases Sendible in full from all and any such liability. The prize is non-negotiable, non-assignable and non-transferable. Only human submission for entry is eligible in the competition. Any actual or attempted use of any device or software or non-human means utilized to automate the entry process or utilized in efforts to increase odds of winning, or utilized for any other purpose and including (but not limited) to interference or disruption of this competition or Sendible or third-party website is strictly prohibited and will result in both automatic disqualification and prosecution as allowed by full extent of law. Accuracy of any provided information to Sendible or in relation to the competition remains the sole responsibility of the entrant. True, accurate and verifiable information, including (but not limited to) contact information, physical address and telephone number, must be provided by the entrant to maintain eligibility in the competition or to win and receive the prize. This entry was posted on December 21, 2010, 10:11 pm and is filed under Uncategorized. You can follow any responses to this entry through RSS 2.0. You can leave a response, or trackback from your own site.